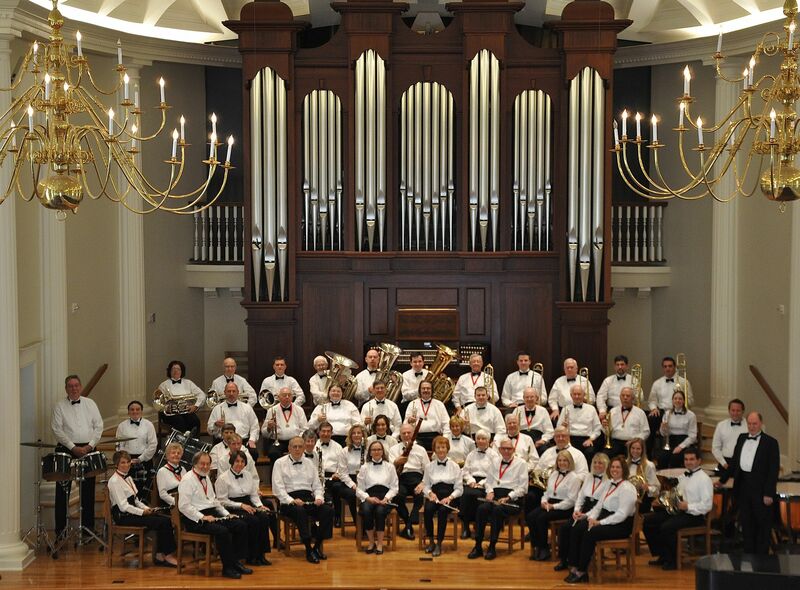 The Gainesville Community Band is a member of the Association of Concert Bands. It was founded in 1974 with eleven members. In 1978, the Gainesville City Commission passed a resolution designating the GCB as the Official Community Band of Gainesville. The Band is funded by a diverse group of patrons and sponsors and is an all-volunteer, non-profit [501 c(3)] organization. With a current a roster of about 80 members, the Band is made up of teachers, professors, scientists, business professionals, students, physicians, contractors, realtors, trades-persons, and retirees. Several professional musicians, who perform with other area groups, volunteer their talents with the Gainesville Community Band. The Director of the GCB is Professor Gary Langford, who took over from Dr. Gerald Poe in 2014. Dr. Poe conducted the band for the 10 seasons between 2004-2014, having assumed the baton from Mr. Richard Hord, the Band’s conductor for over 25 years. The Band has played at the Heart of Florida Air Show and was selected to be the first nonprofessional adult concert band to perform on Fantasy Land Stage at Walt Disney World, returning in subsequent years for four guest appearances. In 1995, in support of its goals and the advancement of Gainesville’s cultural, civic and economic development, the Band hosted the Association of Concert Bands’ 17th Annual Convention. This brought the Association’s national membership to Gainesville for symposia, clinics and master classes, plus ten free public concerts at the Curtis M. Phillips Center for the Performing Arts on the University of Florida Campus. In a move without precedent at the time, the ACB recognized the Band by returning to a previous convention site, selecting the Gainesville Community Band to host its 25th Annual Convention in 2003. Charles Dean was born in Monticello, a small rural town in north Florida. Charlie was interested in music at an early age and learned to play piano and later trumpet. His only training was his high school band director. In college he majored in agriculture and played in dance bands, which enabled him to buy his first professional line trumpet. He joined the Fort Jackson Army Band after graduation. With a PhD in Plant Breeding and Genetics, Charlie was hired by the University of Florida in 1967. He became chairman of the Department of Agronomy in 1979, a position he held until his death in 1992. Charlie served as principal trumpet of the GCB for eighteen years. At this concert, which opens our season each year, we present a new trumpet to a deserving middle school trumpet player in Charlie’s memory. This year, Hoggtowne Music is contributing the trumpet. James King was a native of Charleston, South Carolina and attended Curtis Institute of Music in Philadelphia. Jim enlisted in the Army where he performed on troop ships crossing the Atlantic during WW II. In 1946, Jim joined the Marine Band. He served as principal clarinet and assistant conductor until his retirement in 1968. Jim and his wife Joy were members of the GCB for twenty-six years. He died in October, 2006, and the Band presents this concert in memory of this great musician who served his country so well. Great Southern Music has graciously donated the memorial clarinet. Fanfare and Fireworks is an event held at the band shell on the University of Florida Campus on July 3rd to celebrate the birth of our great nation. The Band performs an hour-long concert at twilight, ending with our national march, Stars and Stripes Forever, and continues playing throughout the spectacular fireworks display. This event has been a favorite of the community for over a quarter of a century, attracting an audience of more than 20,000 people each year.